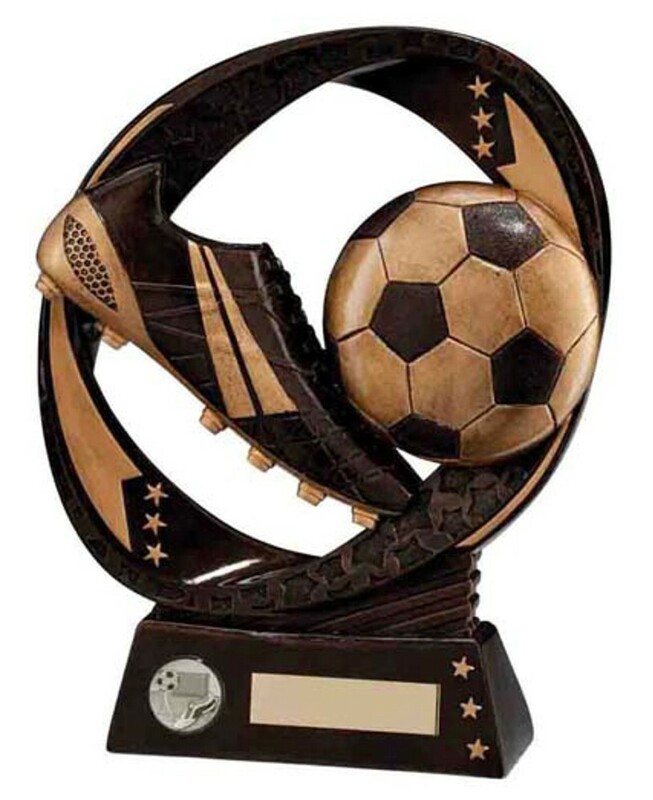 Resin Typhoon Football Boot & Ball awards. 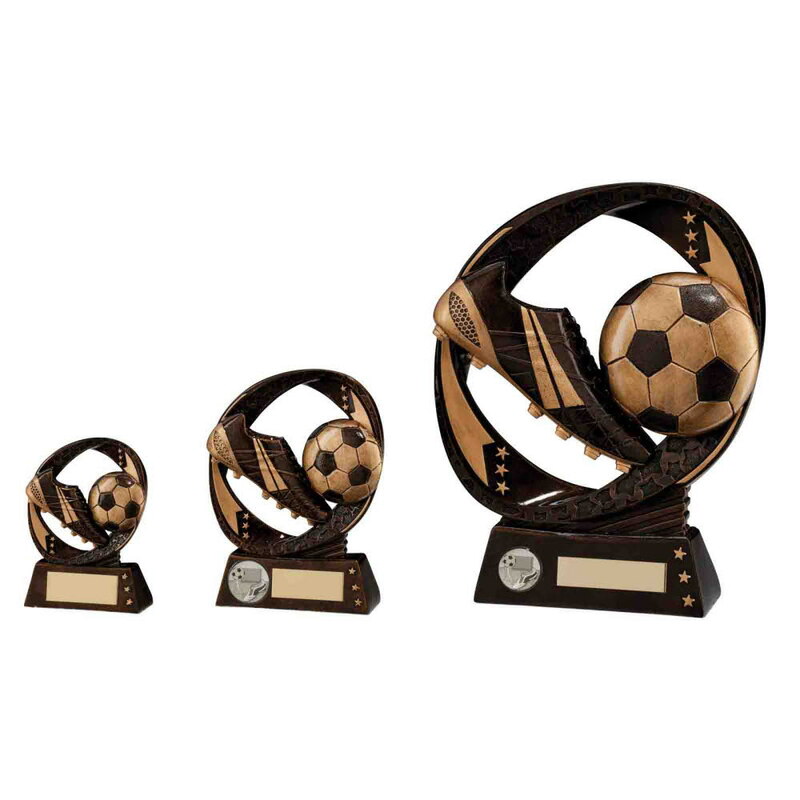 Available in 4 sizes, 130mm, 170mm, 190mm and 230mm high. Antique bronze with gold highlight.